IT trade body Intellect is calling for the chancellor of the exchequer George Osborne to abandon the Carbon Reduction Commitment (CRC). Intellect argues that, since datacentres underpin a modern digital economy, the growth in data volumes is leading to increased IT investment. However, according to Intellect, investment is however already going elsewhere. Intellect argues that the UK’s overly complex legislation and burdensome taxes – with CRC as a tax on energy consumption – is a deterrent to investment. Antony Walker, deputy director, Intellect said: “Climate change agreements were developed for energy-intensive sectors, like aluminium production. Nobody really considered datacentres.” He said that in terms of energy usage, a datacentre is not analogous to a large factory, where the CRC is used to hammer down energy usage. Walker said CRC puts a price on energy use, which affects the take-up of datacentre facilities. 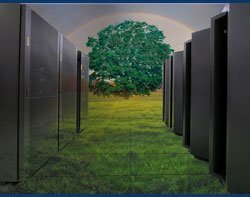 “As the industry increases its energy use, it will get increasingly penalised.” Intellect argues that a climate change agreement would recognise that datacentres are energy-intensive. But, since they aggregate computing and storage in a single place, they are more efficient than running multiple smaller sites. “As more stuff goes into the cloud, you aggregate computing. A datacentre is the most efficient place to run computing,” said Walker.